Last year I was introduced to York wines by the corporate sommelier of The Lalit Hotels, Charles Donnadieu, who had very innovatively paired York Chenin Blanc & York Sparkling Cuvée Brut Blanc de Blancs with “roti” breads at The Naanery (India’s first Bread Bar) at Baluchi, The Lalit New Delhi. The quality of both the still & sparkling impressed me and also the fact that wines from a relatively new Indian winery were listed in a leading 5 star hotel of the country. This spoke volumes about how far Indian wines had come not just in terms of quality but also in terms of gaining acceptability. Very recently Kailash Gurnani, Chief Winemaker at York Winery, invited me to dinner where a few of his wines were being paired by sommelier Charles Donnadieu with some signature dishes of Baluchi, the pan-Indian speciality restaurant at The Lalit. Kailash was in the capital for a few days to promote his wines and also take stock of how they were doing across various retail outlets in Delhi. Those of you for whom the name does not ring a bell, Kailash Gurnani is someone who has the distinction of starting out as India’s youngest winemaker. He took over the reins of his family owned York winery in the middle of 2011 when he was just 23 years old. His older brother Ravi Gurnani, a mechanical engineer from Warwick University UK, looks after Sales & Marketing at York. While I was prepared to meet a youngish wine-maker, I was a bit taken aback when we were formally introduced as he looked much younger than what his pictures suggested. Over a leisurely lunch prior to the York Wine Dinner the same evening, Kailash spoke about his journey and his wine making philosophy. York Winery was founded in Nashik Maharashtra by his father Lilo Gurnani, a Nashik based entrepreneur who could not remain unaffected by the boom taking place in India’s wine valley and decided to plunge into the business of making wine in the year 2005. The winery became operational in 2008, at a time when Kailash was studying Oenology at University of Adelaide Wine School, Waite Campus Australia. Before taking charge Kailash Gurnani spent some time learning the ropes by working in wineries in Australia, Bulgaria & Cyprus. York tasted success with their very first vintage when 2008 York Estate Reserve Shiraz won a Gold Medal at the Sommelier India Wine Competition. In 2012, which was Kailash’s first harvest, both the Chenin Blanc & the Sauvignon Blanc won Bronze Medals at Hong Kong International Wine & Spirits Competition. Since then there has been a steady stream of awards & accolades, the latest, a Silver Medal at 2015 Indian Wine Consumer Choice Awards & a Commendation at 2015 Decanter Asia Wine Awards for York Cuvée Brut Blanc de Blancs NV. 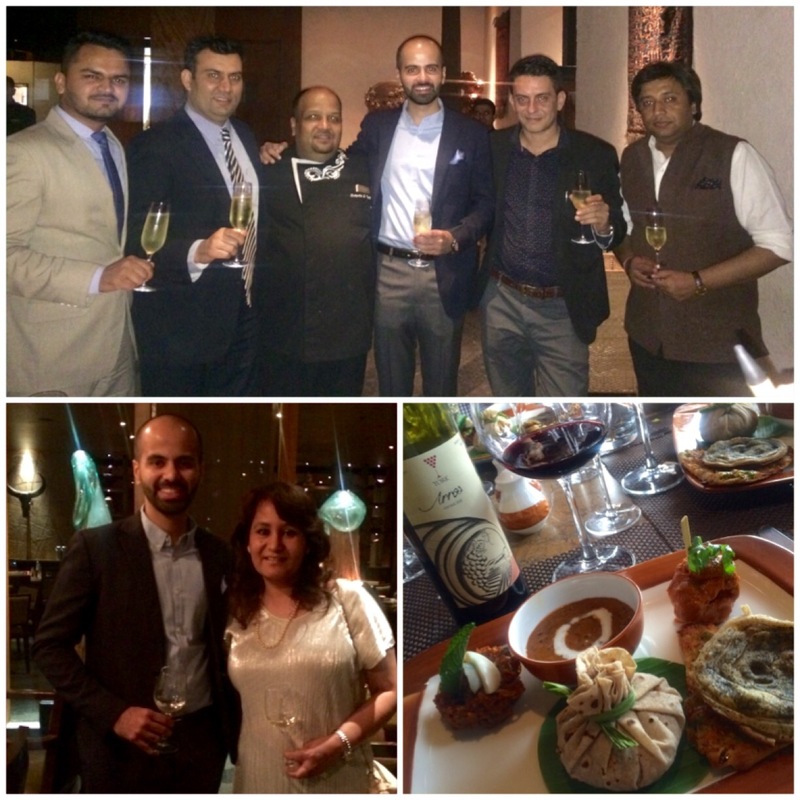 At the York Wine Dinner at Baluchi on 29th April 2016, the guests got a chance to try out the Chenin Blanc, Sauvignon Blanc, and Sparkling Brut Blanc de Blancs (100% Chenin Blanc) along with the flagship wine of York Winery, Arros, a reserve blend of Shiraz & Cabernet Sauvignon. What stood out was the paring of this delicious & well structured red wine with Dal Baluchi & Paan Biryani. It had everyone singing paeans both to the wine and to Dal Baluchi which most people agreed was as good, if not better than the famed “Dal Bukhara” of ITC Maurya. As for Arros, the general verdict was that it is probably the best Indian premium red at that price (Rs 850). Lightly oaked with a lot of fruit shining through, and a touch of spice, it had shades of a Barossa Valley Shiraz. York, a fairly new entrant in the vibrant Indian wine industry, has kept the pricing of its wines very competitive and marginally lower than the others in the same segment. However this does not in any way convey lower quality, contrary to the mind-set which most people have about wine. Offering quality Indian wines at affordable prices is the best way to motivate more & more people into making that switch from other alcoholic drinks to healthier options like wine. 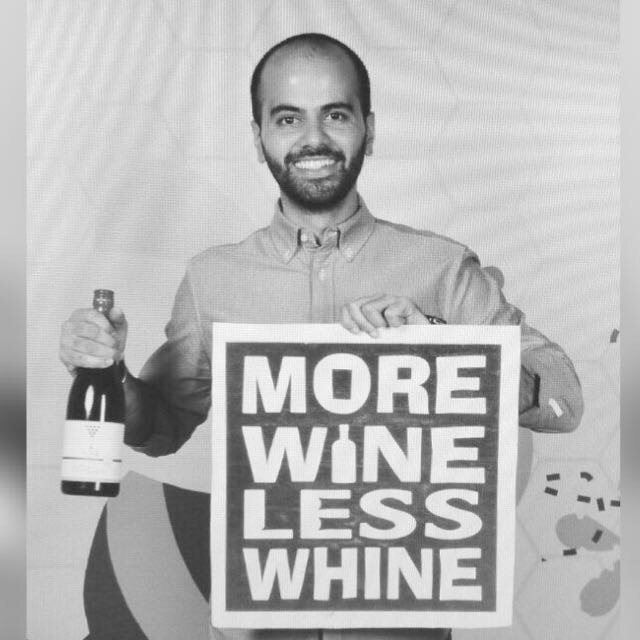 A young wine nation like India needs just this incentive. So here’s wishing success to young Indian wine makers like Kailash Gurnani who are raising the bar on quality where Indian wines are concerned and showing to the world that passion, perseverance and innovation will take you places, even in a short time. So curious about wine from India …. nice post Lavina.